I love to read but somehow startup life plus family and a bit of exercise thrown in gets in the way of reading as many books as I’d like. A beach vacation like I had last week is a welcome exception to the pace. I read four books – all quite different. 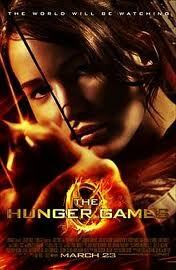 First was the Hunger Games by Suzanne Collins. I love reading the books my kids are reading – it’s a great basis for conversation. The premise of the book is very dark but I love the female hero. Great summer beach type of book – super fast and fun read. 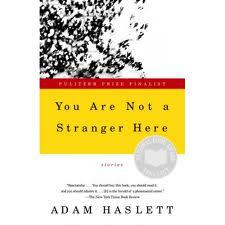 Next up was You Are Not a Stranger Here by Adam Haslett. It is actually a collection of nine short stories. He does an amazing job of bring tremendous depth and complexity to characters in this format. The stories are fundamentally about the pain of mental illness. A bit of a depressing topic as most of the stories were presented as fairly hopeless but the book is hauntingly compelling. Many of the stories stick with you. They left me with many questions. How can we treat mental illness better. What are the causes? How do we treat the mentally ill in our midst yet how should we? Hanslett deserves all of the praise and awards he received for this collection. 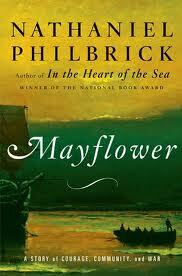 I spent the most time then reading Mayflower: A Story of Courage, Community, and War by Nathaniel Philbrick. I took several history classes and generally enjoy reading histories and biographies. Somehow I had not read in this much depth about this part of early-colonial time. The period is fascinating. Not surprisingly, the Pilgrim – Indian – Thanksgiving story is way more complex and interesting then we were all taught in school. The conditions the Pilgrims faced on everything from the voyage to the early days was harrowing and more than 50% died in the first 6 months. The political skills of the original Pilgrims allowed them to live in peace with the Indians for their first half century in the US. Interestingly racism took hold and obscured political subtleties on both Pilgrim and Indian side leading to the very bloody and long King Philip’s war. All the familiar figures are there – William Bradford, Miles Standish, Pokanoket Indian chief Massoit, Squanto, and Edward Winslow, but Philbrick focuses on also on less celebrated figures like Benjamin Church and Massoit’s son Phillip who were key players. Overall a good history that reads with the intrigue of a novel and exposes an often overlooked period of history. 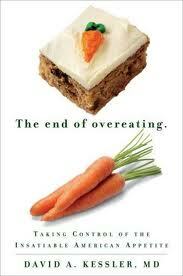 Last on the list that I just finished up on the plane is David Kessler’s End of Overeating. Kessler, a Pediatrician and Lawyer is formerly FDA commissioner under presidents Bush and Clinton and and was dean of Yale and then UCSF schools of medicine. Refreshingly, this is a health book that is not trying to sell you something. The premise of the book is that the food and restaurant industries put an incredible amount of fat+sugar+ salt in their food which conditions us to eat more and changes our brain circuitry leading to patterns of overeating and obesity. There are examples of processing to make foods “hyperpalatable” with literally insane amounts of fat and sugar in the products. He then talks about both theoretical and practical ways people can break out of the overeating habit. Kessler’s writing style is good – and the book is organized in such as way that it flows well. Given the epidemic levels of obesity and obesity-linked health problems I believe this is an important book to read. This entry was posted in Books, Fitness and tagged Adam Haslett, David Kessler, Hunger Games, Mayflower by lyecies. Bookmark the permalink.